The rise and rise of prestige car auctions spoils us with plenty of incredible Porsche 911s to drool over almost every month and RM Auctions’ latest sale (taking place in Paris on Wednesday 4 February) is no different. Inspired by the 356 Speedster, the Porsche 911 3.2 Carrera Speedster was offered in two body styles – the more popular Turbo-look and the rarer narrow shell version. 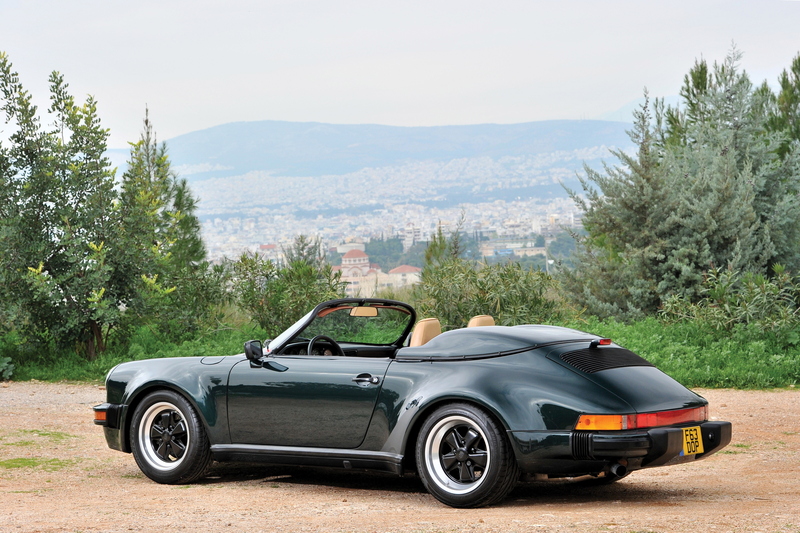 While the car on offer in Paris uses the 930’s widebody it is finished in the unusual Forest Green Metallic and, during its two-owner history, has only racked up 7,500 miles. 2014 saw values of the revered Porsche 964 RS soar but we think this 57,700-kilometre example, finished in Polar Silver Metallic, is possibly undervalued. The estimate below may well be beaten. Famed for its involving driving experience, this 964 Carrera RS is in superbly original condition, including all documentation and tools as well as an immaculate service history at various Italian Porsche Centres. 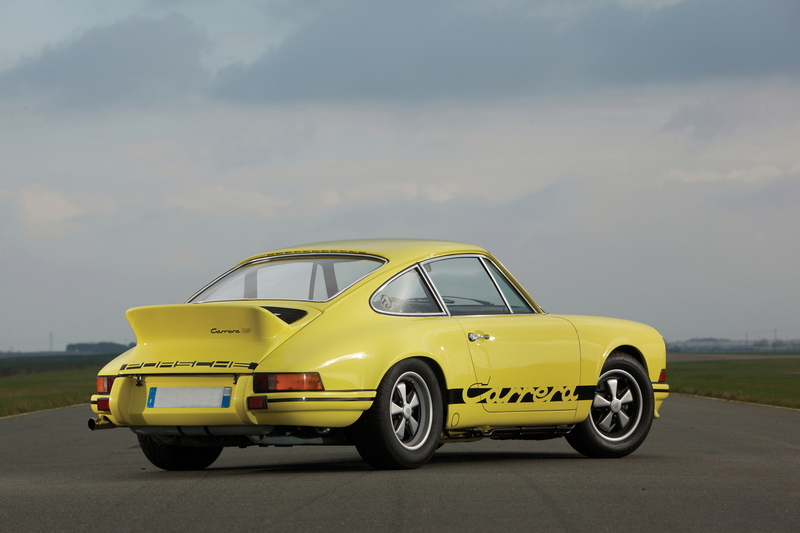 With the Porsche 911 Carrera 2.7 RS originally introduced at the 1972 Paris Auto Show, it seems suitable that two of the most iconic Porsches ever are returning to the French capital as part of RM Auctions’ sale. The first is this Fraise (Strawberry) hued Touring specification car, part of the first 2.7 RS series of cars manufactured at the end of 1972. Originally delivered to Hamburg, this particular car no longer features its original engine, instead using the same 2,687cc unit from a 1975 Porsche 911 Carrera. 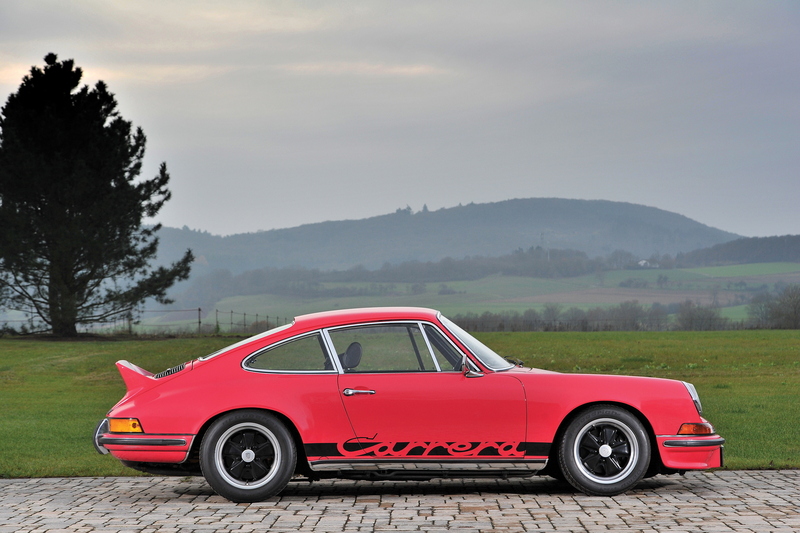 That this second-series M471 Porsche 911 Carrera 2.7 RS doesn’t top our list is incredible. Still, this Lightweight car has the potential to be the first 2.7 RS to break the £1,000,000 barrier. One of just 200 such cars, this French-registered 911 is fully original and has just benefitted from a full restoration. Inspected and verified by Jürgen Barth, with a Porsche Certificate of Authenticity, this is possibly the most desirable Rennsport on sale today. It was always going to take something special to trump an M471 2.7 RS and this is it. Originally a 2.0-litre B-Series Porsche 911S, the works rallying squad used this car to win the 1969 Acropolis Rally with Pauli Toivonen at the helm. It was converted to 2.2S specification in 1971 before a final upgrade to S/T mechanicals (including a 2.5-litre engine) was made in 1972, the year French privateers used the car to finish at the 24 Hours of Le Mans in the colours on display here. A true piece of Porsche motorsport history. Appetite suitably whetted? Register to bid and you may just succeed in securing one of these perfect Porsches. Keep an eye out for all the latest auction results in an upcoming issue of Total 911 magazine.